In order to reach full efficiency, a reclaimer must recover as much bulk material from a stockpile in each bucket-wheel as possible. Failure to fully optimise the average bulk density being reclaimed could result in a substantial loss of money. This problem can be dealt with by adopting the use of Navtech Radar sensors for automation. The sensors are capable of measuring stockpile profile before and after each pass. Operators can use this data to make changes accordingly. These small adjustments can quickly lead to an increase in performance, saving a significant amount of cost associated with the operation of rotating machines. Sensor performance is not effected by the harsh conditions, and no cleaning is required. 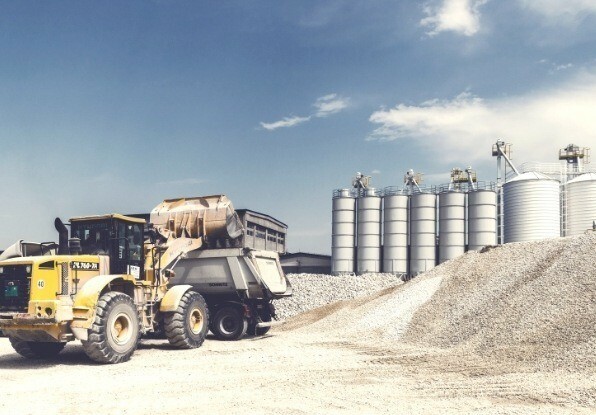 Sensors can measure the profile of the stockpile prior to each pass of an excavation bucket and immediately after the material has been collected. In doing this, the precise volume that has been reclaimed can be recalculated. The re-claimers position can then be adjusted accordingly, to optimise the capacity for the next excavation. Optimum performance drives efficiency and means expenditure costs are reduced. Why Choose Navtech Radar's Sensors for Stockpile Management? Robust sensor design allows for easy shipping, handling and installation onto existing equipment. Dust and dirt in the atmosphere at sites will not affect the performance of the sensors. No cleaning is required whatsoever, which saves costs and time. The sensors only require servicing at five-year intervals, making them a low cost option for stockpile management. Sensors can be quickly installed onto equipment. They are easily integrated with exisiting software, meaning minimal disruption to sites.